If you're a stay-at-home mom looking to make some extra money, or are just a consumer looking for high-quality products without the typical retail markup, direct sales skincare lines are a great choice. 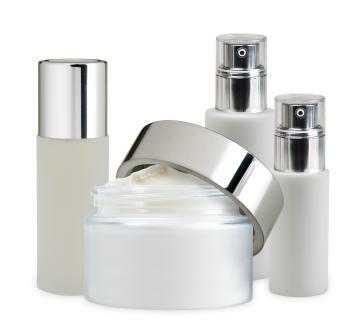 Direct sales means that certain products, such as skin care, are sold directly from the manufacturer to the consumer, without involving a middleman, which is a retail store. These sales tend to be more cost-effective because the prices are the actual manufacturer's price, without the added markup that retailers add to products that they sell. The products can be sold directly from the manufacturer's website or through individual sales consultants that work for the company. Direct sales can also mean job opportunities for college students, stay-at-home moms, or anyone else looking to earn some spare cash. Certain direct sales brands hire independent sales consultants who earn money by selling the product to friends, family and acquaintances. There are many popular skin care lines that are not available in stores. Some of them have become household names and are well known by most people. Proactiv is probably one of the most popular and well-known direct sales skincare lines. The famed acne-fighting three-step system of cleanser, toner and lotion has a cult following, celebrity endorsers and earns many awards from top beauty and fashion magazines. This particular skin care line is only available by ordering through the Proactiv website, or by catching a commercial and calling the toll-free number. There's also an option to receive auto-shipments every two months, so you don't have to worry about constantly reordering the products. Avon is another extremely well-known direct sales cosmetics and skin care line. Avon allows you to choose different ways to shop for products by either ordering through a representative in your area, which you can find by visiting the Avon website, or ordering directly from the site itself. Avon hires independent sales consultants who can create online stores, or sell the old-fashioned way - in person. Consultants earn a commission on everything they sell. The Avon skin care range is extensive and includes everything from cleansers and moisturizers to targeted anti-aging treatments. Votre Vu is a luxurious French direct sales skincare line that features facial care, bath and body and even ingestible beauty products. Votre Vu employs independent Brand Ambassadors, similar to Avon's sales consultant method, where you join the company and they provide you with the tools and resources necessary to begin selling the products. The products are also available for purchase directly from the Votre Vu website. Whether you're just a conscientious consumer looking for a great skin care line, or are interested in earning some extra income, ordering directly from your skincare line of choice can be a great opportunity.